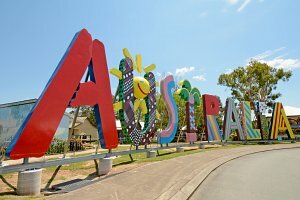 Floriade welcomed in spring by celebrating all things Pop Culture. 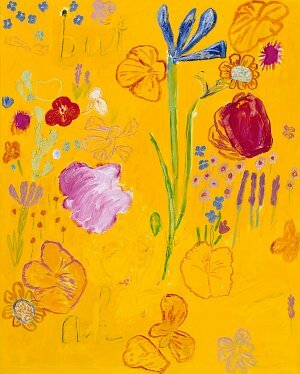 Canberra’s increasingly popular floral festival drew inspiration from local and International pop culture, and Ken's beautiful artwork Collection, 2012 becoming the creative source for the Australian Pop Art garden bed. 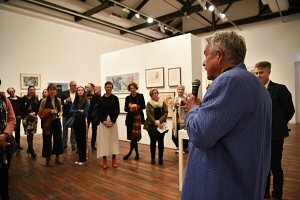 Ken recently spoke at the opening of the National Art School's landmark exhibition featuring the work of 50 alumni from over seven decades. 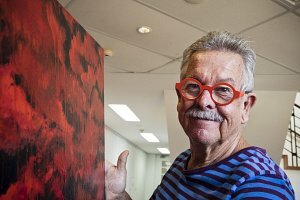 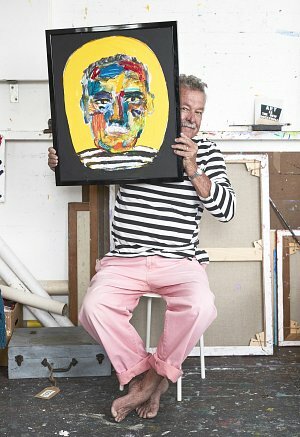 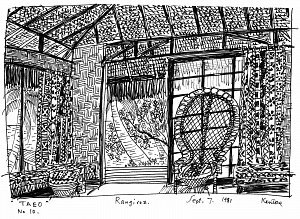 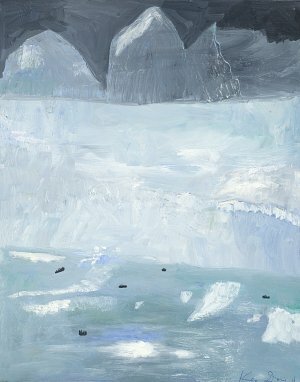 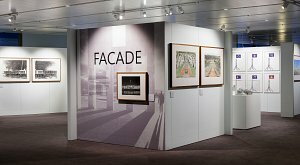 To celebrate the 30th Anniversary of The Grafton Regional Gallery, Ken’s recent Sydney exhibition is being shown. 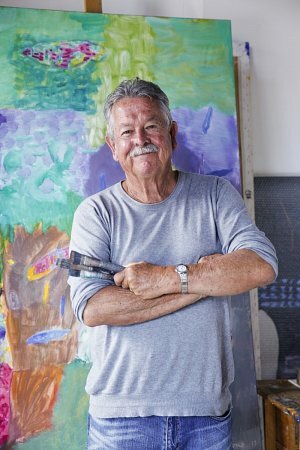 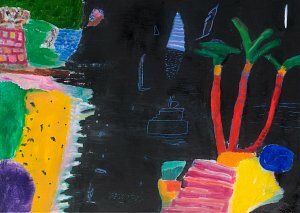 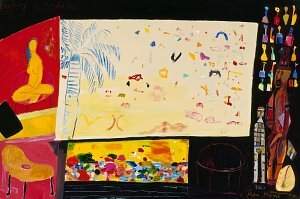 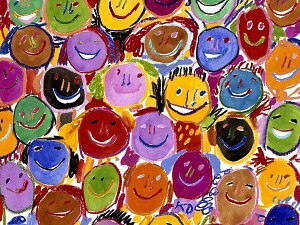 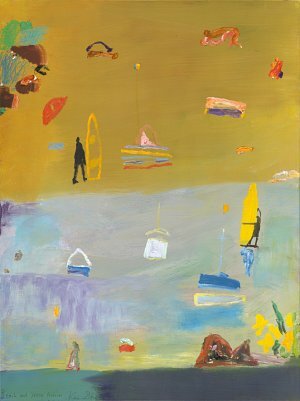 An exciting and colourful new exhibition at the Harvey Galleries in Mosman. 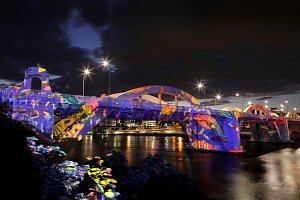 One of Ken's paintings is being projected onto a bridge in Brisbane, to celebrate the 30th anniversary of Expo 88. 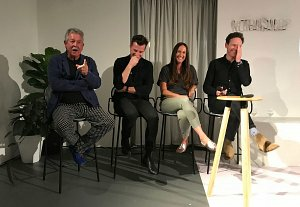 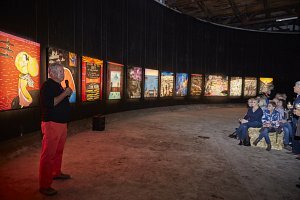 Ken joined a panel discussion as part of the Sydney Design Festival 2018. 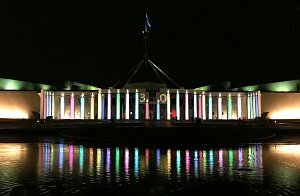 To celebrate the annual Enlighten Festival, Ken was invited to create an artwork to be projected onto the façade of Parliment House. 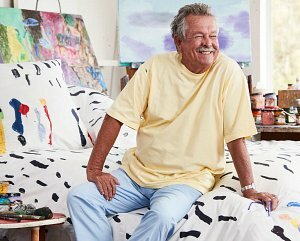 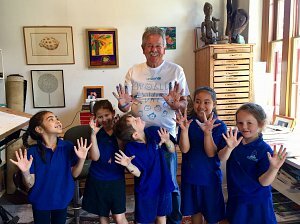 To celebrate World Children’s Day 2017, Ken invited a group of seven year olds to ‘take over’ his private studio in The Rocks.